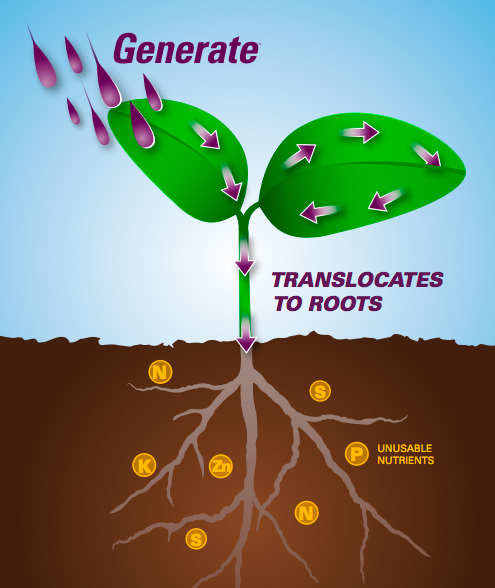 Generate® is the proven Microbial Catalyst technology that liberates nutrients for healthier soil and crops. 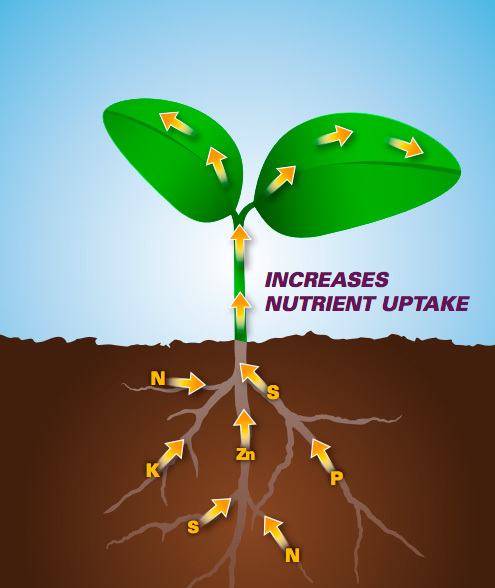 Greater uptake of nutrients like N-P-K, sulfur and zinc increase crop performance and yield. Farm the way you want to farm by applying Generate® foliar and improve your bottom line. Generate® is rapidly absorbed by vegetation and translocates to the root zone. 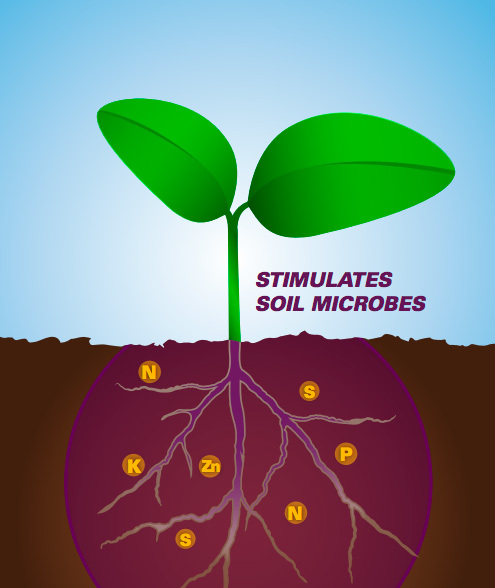 More active soil microorganisms liberate bound up nutrients. Crops utilize 5–30% more available nutrients for increased performance and yield. Apply 1.5 L/ha at the recommended stage on crops (cf label). Technologies You Can’t Find Anywhere Else. Exclusive technologies make Generate® easy-to-use and effective during foliar application. SoluMin® mineral technology and Microbial Catalyst technology allows Generate® to move freely through foliage and stimulate soil microorganisms for healthier soil and plants. Our proprietary chemistry makes trace minerals completely soluble and available to plants and microbes. Our cobalt-based technology stimulates beneficial microorganisms that increase nutrient availability.